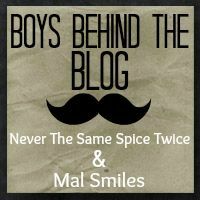 Mallory & I are really excited about this month's Boys Behind the Blog link up! We have decided to ditch a theme and just ask questions the guys will want to answer (hopefully). Grab your man, ask him these five questions, and link up with us on Thursday, July 18th, 2013. 1. What celebrity would play you in a movie about your life? 2. What is your dream car? 3. Do you have any tattoos? What, where, why? We can't wait to read your man's answers on Thursday, July 18th! sounds like fun! it will be a fun link up! These are great questions! Can't wait to ask my hubby! Can't wait to join in on the fun this week!